As construction in Everett on the new wing center for the 777X begins to take shape, Boeing executives have acknowledged the fact the company will need to cut 777 production in 2018 to make way for the new 777X jet. Reducing production of the profitable 777, which sells for approximately $165 million will certainly affect Boeing’s bottom line initially, but scaling back is a normal process when a new jet is introduced. 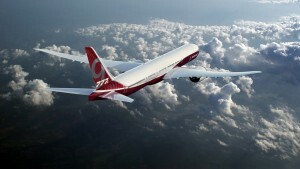 Boeing 777 Vice President Elizabeth Lund said the jet maker “will feather in with some blanks” as it begins building the 777X. “Blanks” in the sentence above refers to empty positions introduced into the 777 workflow, from initial fabrication of parts through final assembly as part of the learning curve that comes with constructing a new plane. “You could almost call it a little micro-break, one month when you just don’t have a line number, so instead of delivering 8.3, you are delivering 7 one month,” he added. At some point in 2018, Boeing will need to raise 777X production to one per month as the first 777X jet will be built in 2017. “We are not going to speculate on quantities,” said Lund, who expects a full plan to be pinned down once the jet’s design is firmed up later this year.